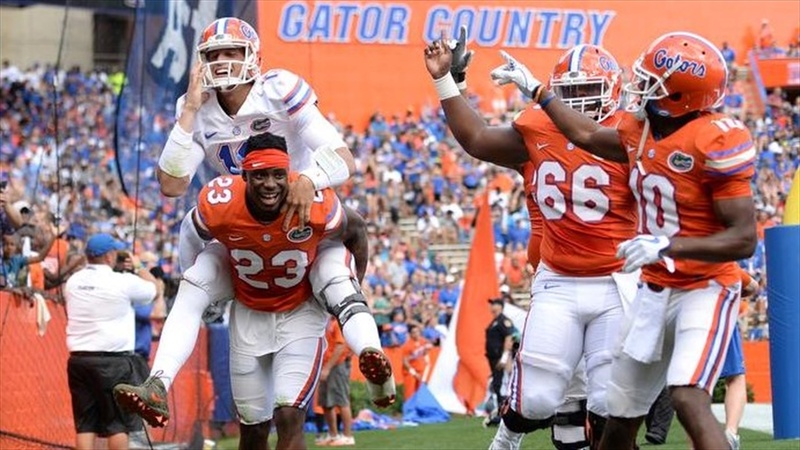 Another spring practice is in the books and the Florida gators are preparing to put the bow on the past month with the annual Orange and Blue Game. Before the team kicks off Saturday afternoon , we look at four things we’ll be watching during the game and go overboard information those attending need to know. Because of how Florida does the teams for the spring game (a draft) we won’t get to see what coaches view as the first string line. But we’ll still get to see individual performances. How will Jean DeLance do at right tackle, can one of the freshman step in at guard? These are all questions that have to be answered by August 24 and ideally the game speed of Saturday will begin to answer them. We know Feleipe Franks is going to be the started and we know what Kyle Trask brings to the table. So let’s see some more from the Jones boys. We want to see more of what Emory Jones has learned this spring when he’s getting more than every 4th rep. And as for the freshman Jalon Jones, this spring game can serve as a good litmus test to see where exactly he stands and what needs to be worked on moving forward. For much of the spring Amari Burney has taken the first reps at the spot and has kept up well. But Ventrell Miller has also flashed at times when he’s subbed in at the spot. The two are on different teams so there’s a good chance we’ll see a lot of both. Burney has been used at so many different positions that it will be enlightening to see how he’s adapted to more of focus on just one position. With Miller, he’s always been a bit raw so we want to see how he does with more opportunities against shifty guys like Freddie Swain and Van Jefferson across the middle. The Head Coach caught some flack for throwing in tricks and cameo’s in last years game, with some wanting to just see what the team could do on the field. But luckily—since that thought is boring and lackluster—Mullen told reporters this week that he was still pleased with how the 2018 game went. Furthermore he said he wasn’t opposed to throwing in some more trick moments and celebrations for this weekend’s action. It’s a spring game, he reminded, and at the end of the day Florida is going to win so everyone should leave having felt it was a good time. If that includes unexpected moments, fun extras and some familiar faces, then bring them on; we can’t wait to see what he cooks up for the day. -Mullen promises the game will be exactly 2 hours no matter what. -As mentioned above, the teams are decided by a draft so there won’t be any 1’s vs. 1’s, 2’s vs. 2’s, etc. This is done to help breed competition according to the coaches. -The game kicks off at 1pm on SEC Network Alternate. -University Avenue from 13th to the stadium will be closed beginning at 10am. -Beginning at 10:45 there will be live music on the front lawn, food trucks open and even a Big Green Egg Cookoff. Never miss the latest news from Inside the Gators!